Thank you to all of our alumni who attended the many alumni events over winter break. It was great to see so many of you connecting with former classmates and friends, playing music and sports, and mingling with alumni across all class years at a variety of venues. Cannon’s alumni jazz band members for providing wonderful music for the Alumni Jazz Cafe and Faculty Luncheon on December 19. 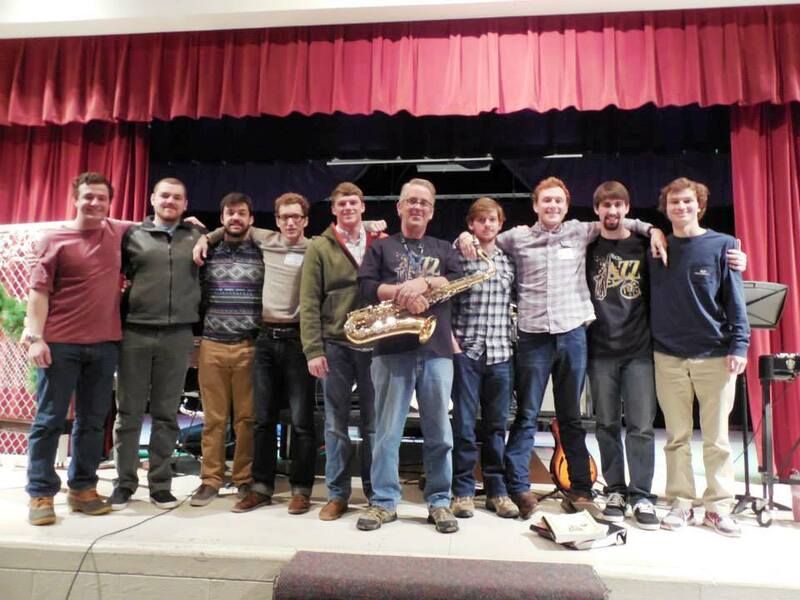 Thank you Michael Pope ’13 for your help with organizing this reunion of fine musicians! Let’s do it again next year. 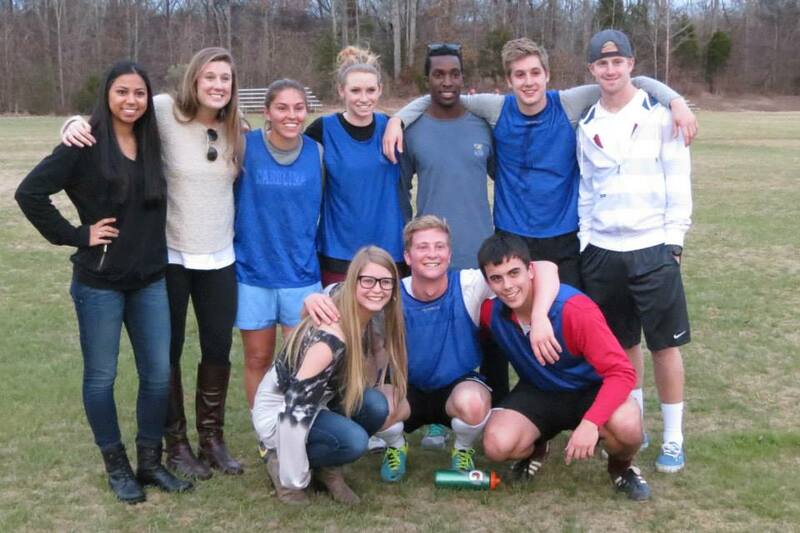 Cannon’s alumni soccer players and friends who gathered to scrimmage (and cheer) with the varsity team on December 19, and to Rachel Dyl ’14 and Shelby Dyl ’11 for suggesting and organizing the event. Come back to campus on February 22 for the women’s alumnae vs. varsity soccer scrimmage! Jessica Peterson Sielen ’03 for organizing the Alumni Holiday Party at Fox and Hound on December 23, and to Katie Regnery ’08 and friends for creating the Facebook event and making all of the connections. So many alumni to meet, so little time! The place was hopping, and everyone looked happy! 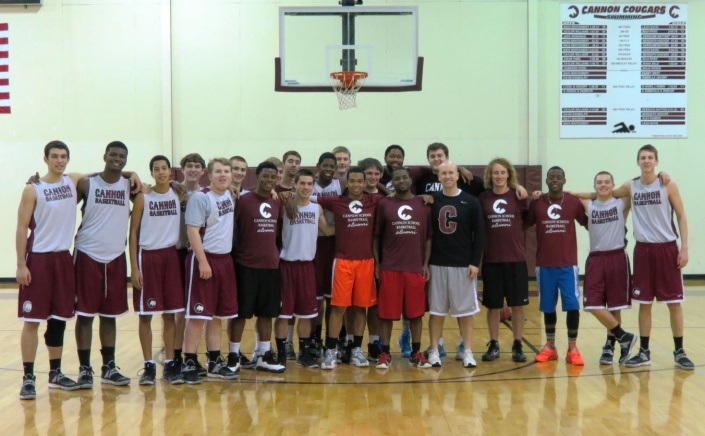 Cannon’s men’s basketball alumni and varsity teams for bringing your game to Boswell Gym on New Year’s Eve, and to Kelvin Drakeford ’08 for organizing this event (and for some really great plays on the court!). Close game, great time! Our wonderful Alumni Board officers and members for your active participation at the January 4 Alumni Board meeting. You are truly wonderful! Check out the Alumni Section of the winter Cannon Magazine for a list of all Alumni Board members and for information on how to get involved. Visit the Cannon School Alumni Facebook page and www.cannonschool.org/alumni for alumni photos, events, and updates. Contact Lynda Abel for additional information about Cannon School’s Alumni Relations Program.